With a tough fiberglass reinforced construction. 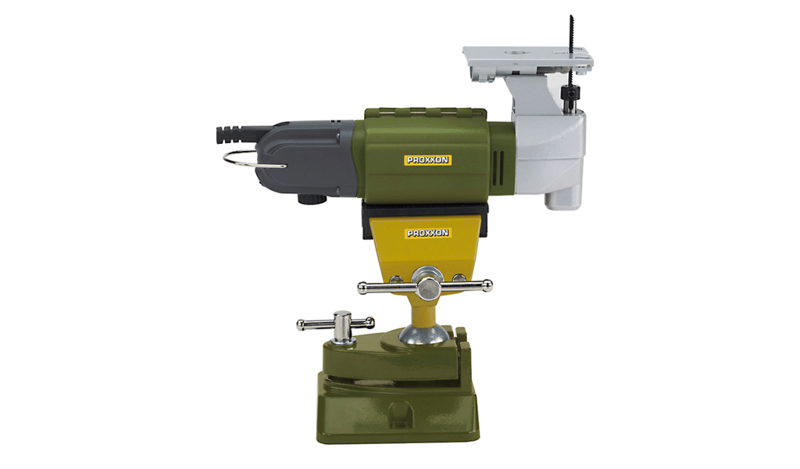 Super Jig Saw STS/E and Precision Vice FMS 75 shown here are not included in the delivery. For stationary use of MICROMOT hand-held tools. Whenever working free hand is difficult or dangerous, here is the solution for the stationary use of MICROMOT hand-held tools. 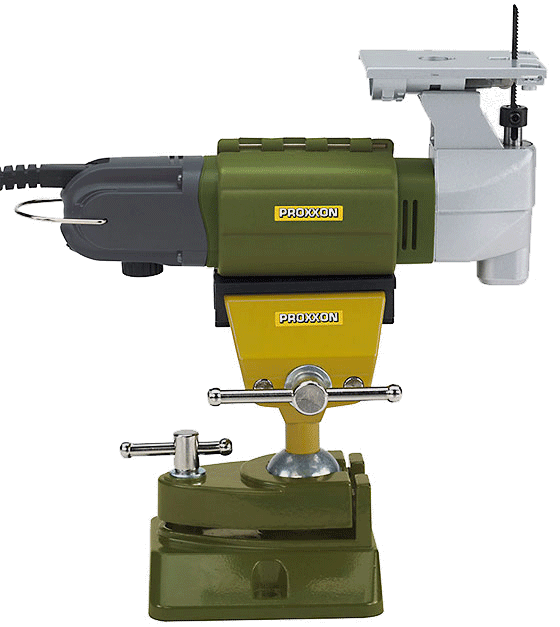 With a tough fiberglass reinforced construction, this tool clamp perfectly fits around the body of our hand-held tools with aluminum-die cast head such as Professional Rotary Tool IBS/E, Longneck Angle Grinder LHW/E, Belt Sander BS/E and Detail Sander OZI/E as well as our Jig Saws STS 12/E and STS/E. The tool clamp is easily clamped via two flaps in a vice (we recommend our Precision Vice FMS 75 or Precision Vice with Clamp FMZ).